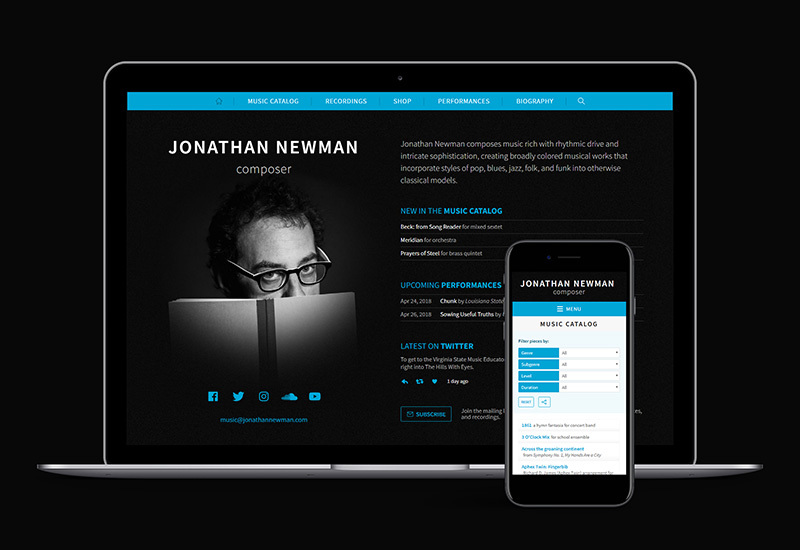 Jonathan’s existing site had become outdated and lacked an efficient and intuitive navigation. It had also become difficult to update. 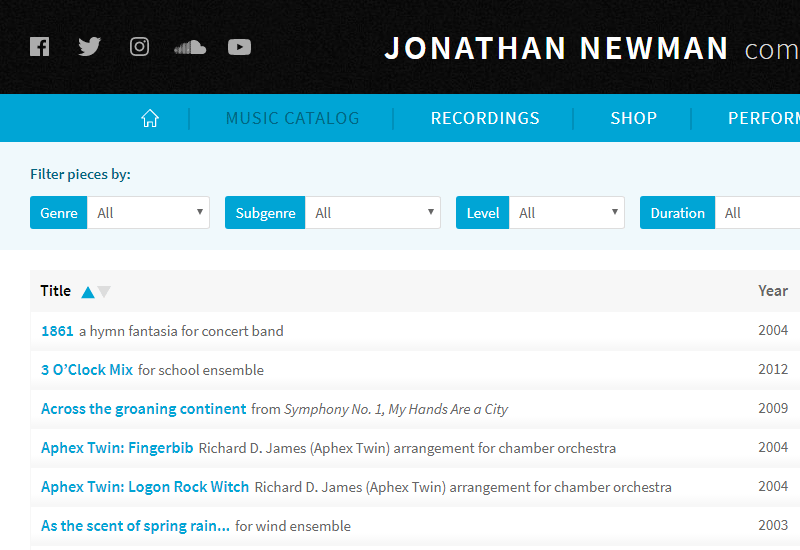 I imported Jonathan’s existing custom-built database into WordPress, making use of custom post types for the Music Catalog and Performances to allow for easy updating as well as cross-referencing. New portrait photography was commissioned to accompany a fresh, confident and user-friendly design. 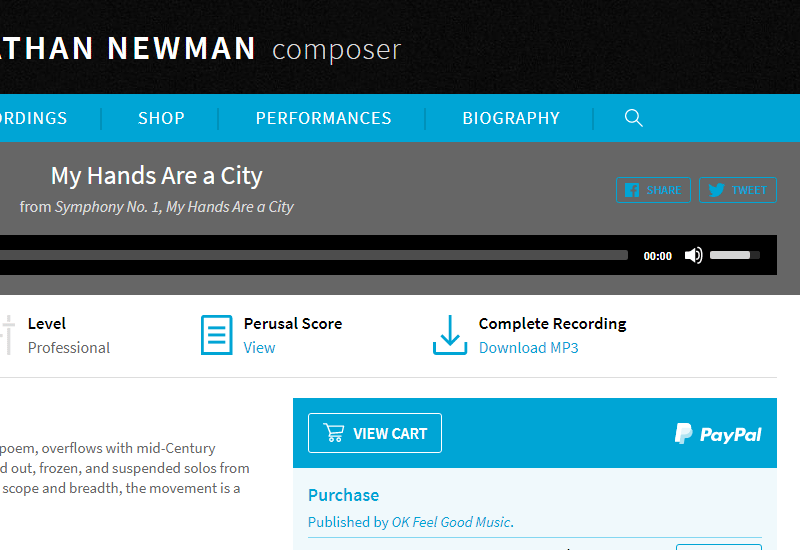 The Music Catalog features dynamic filter and sort controls for an efficient user experience. The Shop integrates with a PayPal cart and checkout, allowing visitors to purchase or rent pieces online. 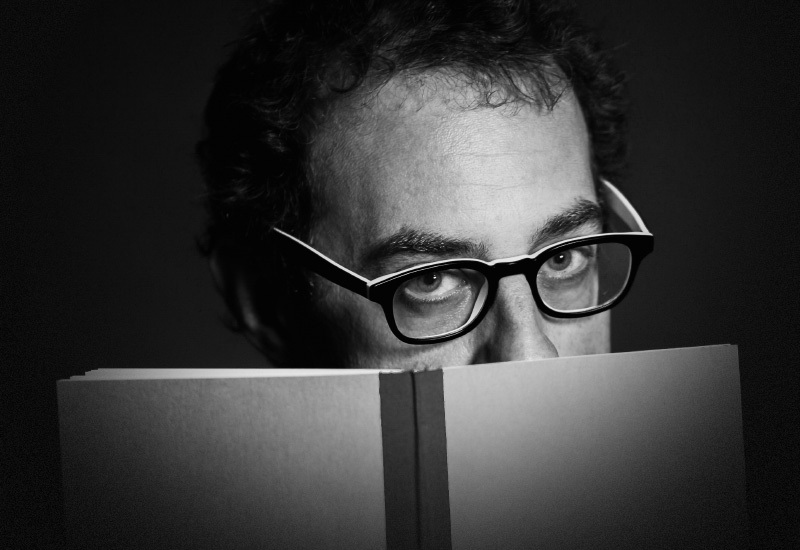 Visitors can submit their own performance dates of Jonathan’s works, which appear on the site after moderation.